I love coming to Hong Kong, so when I was told there was going to be a camera show I wasted no time in making sure I would be there for it. 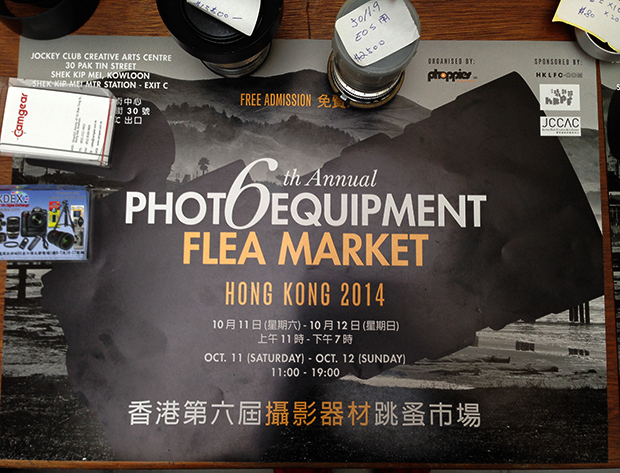 Here are my observations on the 6th Annual Photo Equipment flea market in Hong Kong. 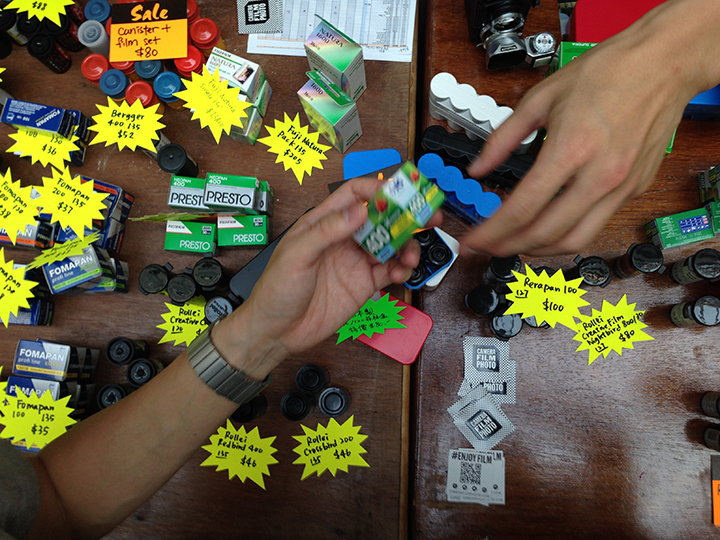 I was invited to come to the camera show by Vishal from CameraFilmPhoto, and I thought it would be a really good opportunity to see how the Hong Kong market works on a more grass roots level. I often come to Hong Kong, but I only really get to see the stores and talk to the traders, which gives you a rather skewed perspective at times (for them, business is always bad apparently). The shows in Japan are a lot different. 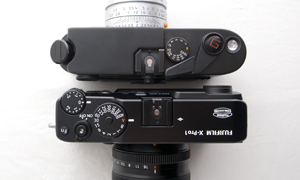 Mainly focussed on the higher end gear and collectors/buyers. This small fair (and it is very small) is really aimed at the shooters. 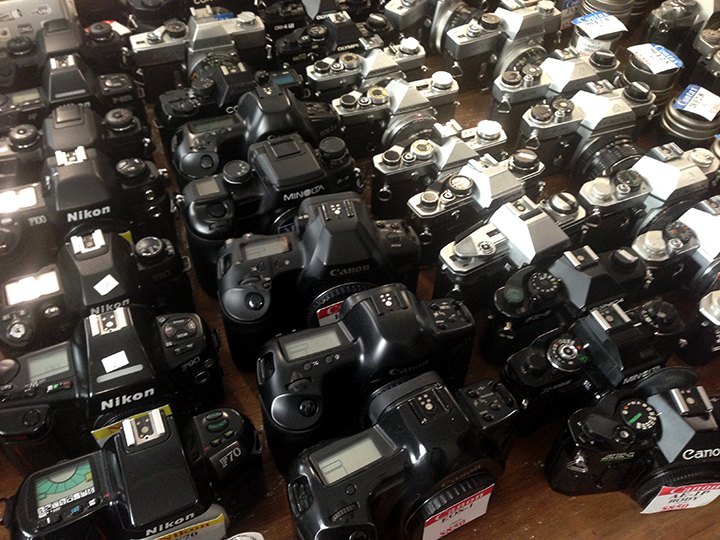 There are rare collectors items, but there are also reams of regular user cameras. And the prices are fair too. Hong Kong has a haggling culture, so you are kind of expected to try and push them down for a bargain. And there were bargains to be had. 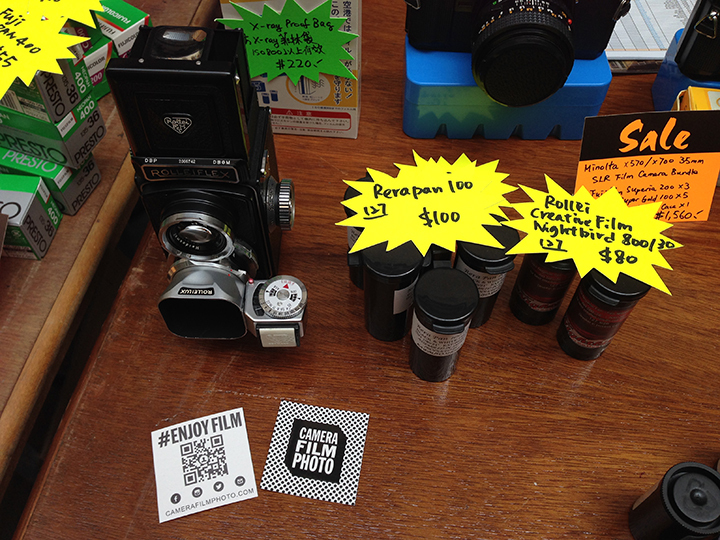 But one thing I really noticed was that just about every stall was selling film! Seriously, it was everywhere and so many different kinds too. 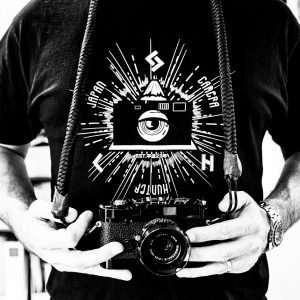 This was really cool to see such passion and drive from people to shoot film. 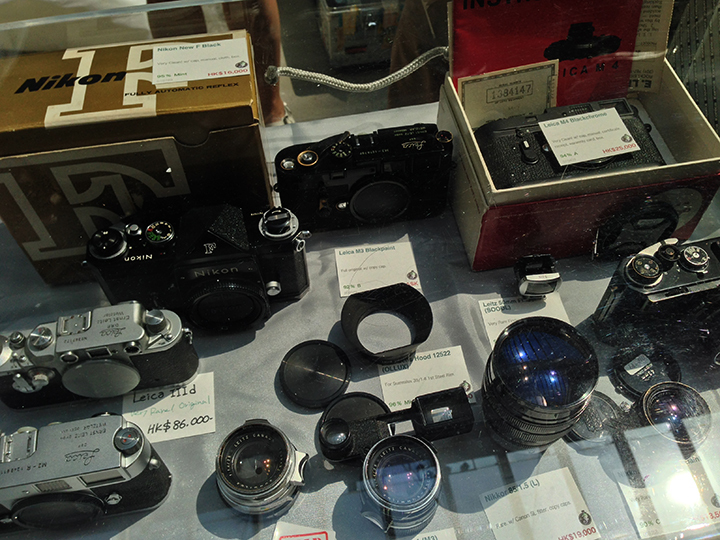 I have often wondered why Japanese classic camera shops don’t actually sell film, but have never been able to really find out why. 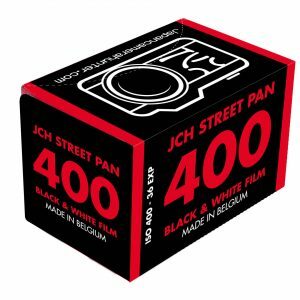 The HK stores on the other hand are more than happy to sell film. 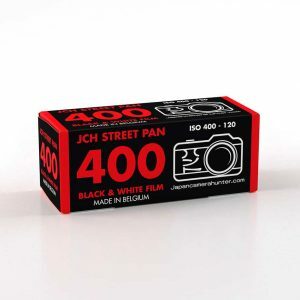 Even rare film. 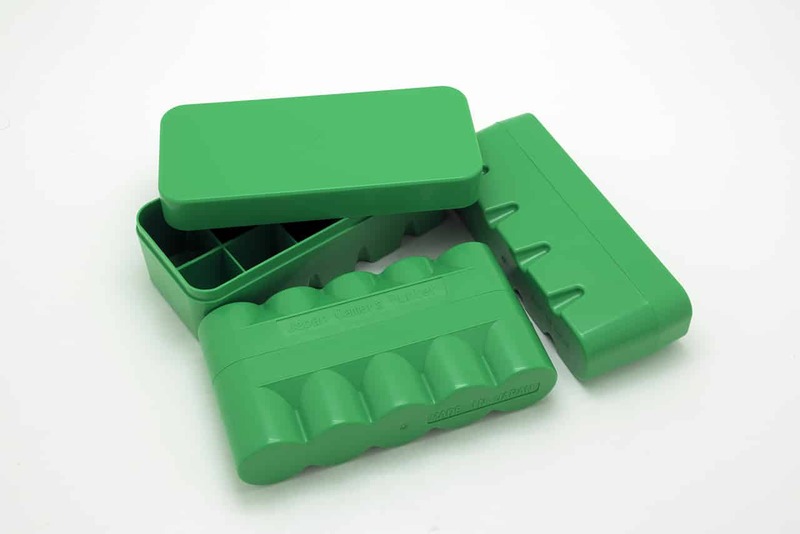 As you can see here CameraFilmPhoto is selling 127 film! And I hear that it is not limited stock either, they have a fairly regular supply. 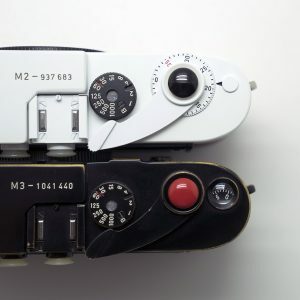 This opens up a whole new range of cameras to shoot that we once thought gone. One thing that really impressed me is the innovation I see in Hong Kong. 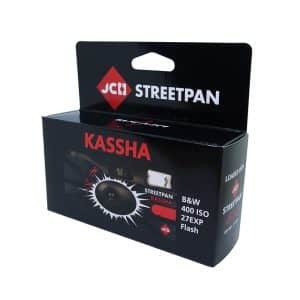 People who cannot find the camera solution that they want, so they just go ahead and make one for themselves. 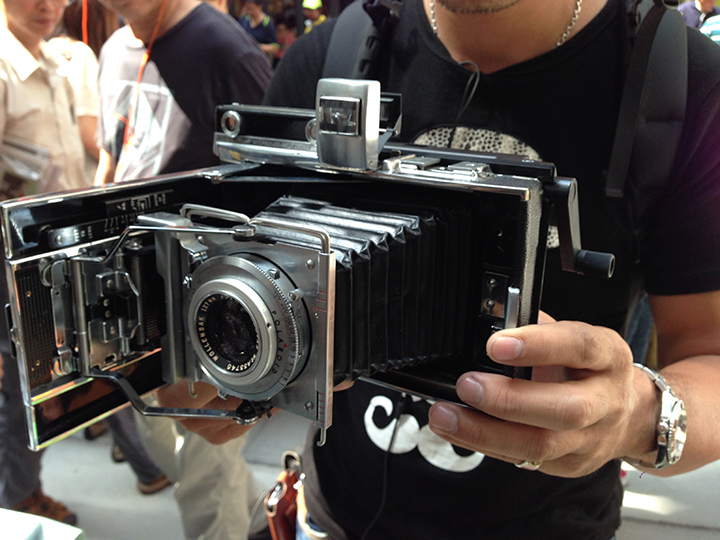 Like this Polaroid with a hacked Lomo Belair instant back. When I asked the guy why he made it he said “why not?” well, why not indeed. 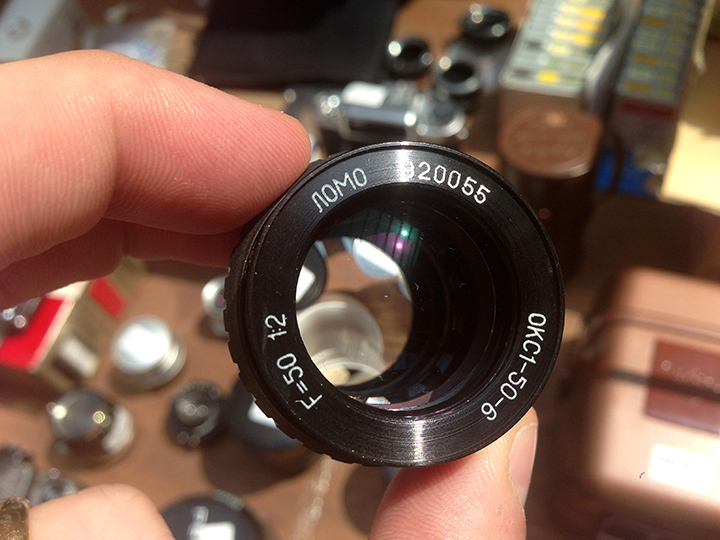 Like this cool LOMO lens that is going to be adapted for M-mount soon. It is really cool to see such energy at a small show like this. I can see this show getting a lot bigger in the coming years. The first day was really busy and some stalls told me that they had sold nearly half their items by the end of the day. That is fantastic. There are even some traders from Japan at the show, which tells me that they are really aware of their main market now and are making steps to be a bigger part of it. I have been suitably impressed by this show and I will certainly be attending it next year (I might even have my own stall too). 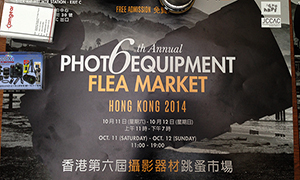 It is still on today and I will be there in the afternoon, so drop by and grab some film and say hi. You can find it at the Jockey Club Creative Arts Centre in Shek Kip Mei. It is actually really easy to find too. JC, you forgot one thing: what did you end up buying??? Oho, now that is a secret. can’t believe this was on one week before i’m back in hk. I am not sure it should be called a flea market, as it is just shop owners selling items at approximately 10% discount (plus whatever you can haggle) to what they usually sell in their store. 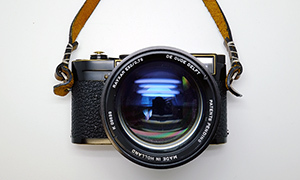 As per the article, the items for sale (mostly film camera orientated) are mainly geared at the average and newbie enthusiasts. 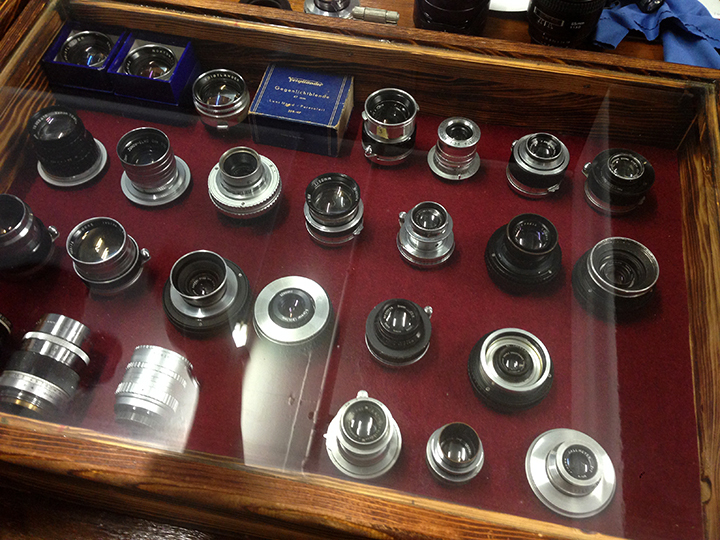 It was very nice to see experienced photographers, and young students, browse together. Having lived in HK nearly four years now, this was my second time at the show, and I would really like to see it grow, but the organisers definitely need to rethink the layout or location if it does. It looks good and feels busy because the tables are all close together in a small area, which gives it the market atmosphere I guess. However, I wouldn’t mind it being outdoors and later in October when the weather is much more comfortable. 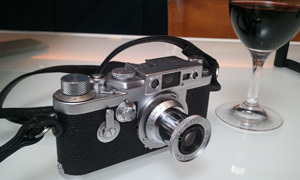 At the end of the second (last) day, an hour before it ended, I was very happy to pick up a Leica M3 in decent condition for HKD 4,500 (USD 580).